When a Harvard Medical School neurologist and an engineer from MIT founded this wellness company, they did so with an ambitious mission: to develop an easier, more accurate way to track the muscle health of patients with muscular disorders. Today, the company does that and much more. As soon as this innovative brand released its flagship product in 2014, the company took off. Publications like Men’s Health, Mashable, and the Wall Street Journal gave it glowing reviews. The company raised more than $400,000 through a crowdfunding campaign. And happy customers began singing the company’s praises. The only problem? 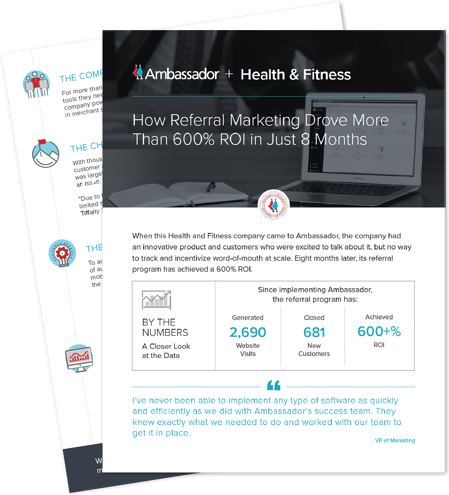 The company had no way to capture and capitalize on that word-of-mouth, and its small team lacked the time and resources to develop and manage a custom referral program.